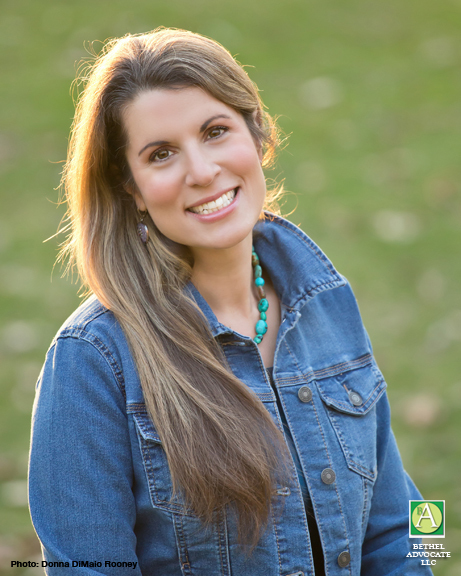 Bethel Mom Writes a Book About Bullying, Meet Her at Bethel Summerfest! Bethel Mom Donna DiMaio Rooney has written a book entitled, DANI and the Day the Bully Changed Everything, which is about the psychological struggles that children and young adolescents have with bullies. “Out of great concern for our youth and the bullying epidemic, Donna DiMaio Rooney wrote her first children’s book. If all children learn to celebrate their uniqueness, while being empathetic towards others, imagine how the world could be transformed,” reads the book’s description. Rooney said her inspiration for writing the book actually came from her observation of various young people, when she was out and about town in Bethel, shopping, or on the Bethel High School track for example, observing possible sadness or stress in some teens, and she wondered what they were experiencing in their lives to cause that feeling. She was also aware of many bullying stories that appeared often in the news. Rooney wanted to write a book to help children, and feels that possibly when children are young they could identify some of their concerns with animals, such as a sheep if you are shy, or a horse if you are athletic, or a pig if you are fun-loving, as she decided to write in her book. She also wanted the book to be interesting to parents as well as children, as they read the book to their child. Rooney also touches on why the bully is acting as they do, and wants to teach empathy and empowerment to bystanders. “I wanted to book to say, Be who you are, be kind and accepting of others,” Rooney said. The book deals with the bully’s life as well as the victim’s life, she said. The author, age 50, has a 10-year background in television, that eventually lead to a career in public relations work. Rooney said that in 2017 the book was chosen by the Jennifer Lawrence Foundation (founded by the Oscar-winning actress Jennifer Lawrence) for a swag bag at the Awards in the Arts event and the book was endorsed by Lawrence’s mother Karen Lawrence, Founder of Camp Hi-Ho. “Rooney’s tender book on bullying explores the meaning of friendship while empowering the reader to stand up for what they believe. The message is powerful. My hope is that parents will read the book as well, because the opportunity for discussion is laid out perfectly for them. We could all use a refresher course in understanding, second chances and forgiveness,” said Karen Lawrence. Rooney will be available to sign her 88-page book at the Bethel SummerFest on Saturday, July 14th, an event held 11am to 4pm. Rooney will be in front of the Toy Room at 153 Greenwood Avenue and will offer a special price of $10 (retail $11.95) for the book, which will only be offered only during the Bethel SummerFest. 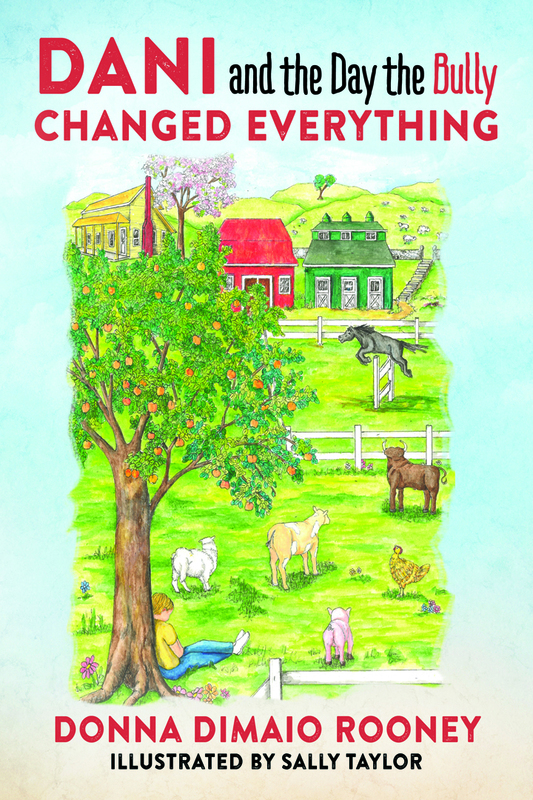 The book, DANI and the Day the Bully Changed Everything, is available to bookstores through Ingram, Baker & Taylor, Bertrams and Gardners. DANI is also available online at Amazon, Barnes & Noble and through Outskirts Press online bookstore. Sold in Paperback, ISBN: 978-0-578-17906-3 and Hard Cover, ISBN: 978-0-578-17907-0. 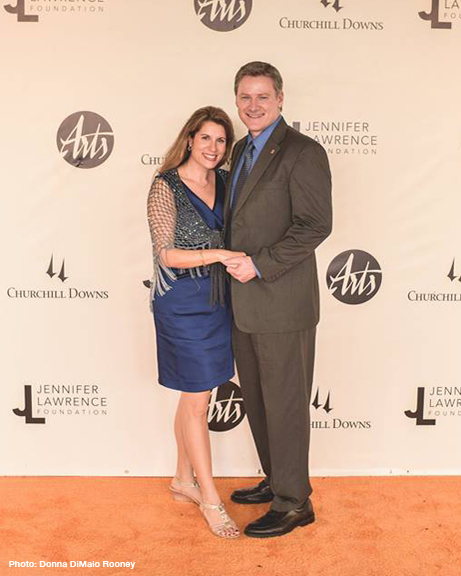 Photo: Donna DiMaio Rooney and her husband Jim Rooney at the Jennifer Lawrence Foundation Awards in the Arts event in 2017, that took place at Churchill Downs in Louisville, Kentucky.